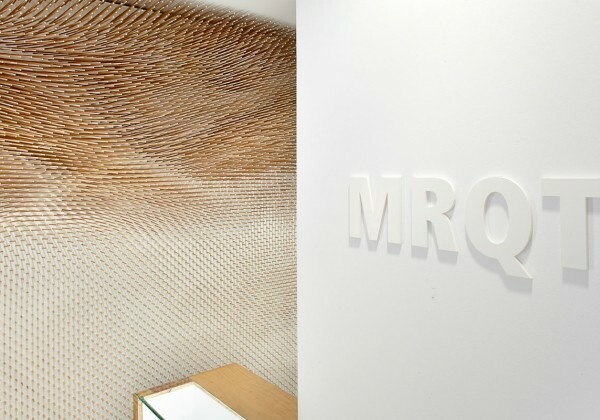 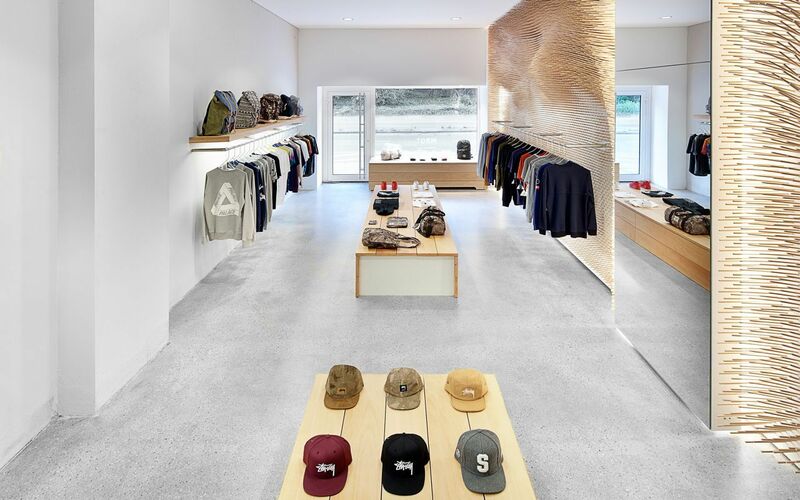 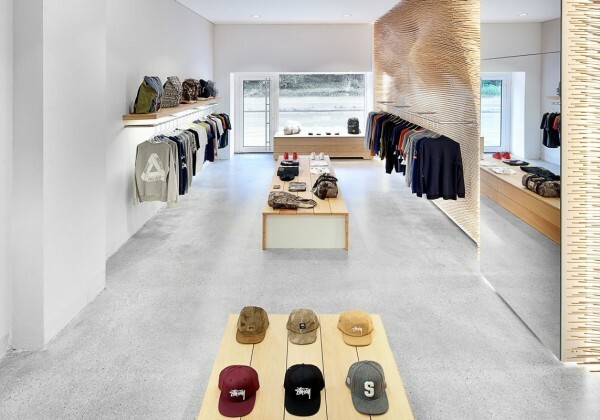 Swiss architecture firm ROK – Rippmann Oesterle Knauss has completed the MRQT boutique in Stuttgart, Germany. 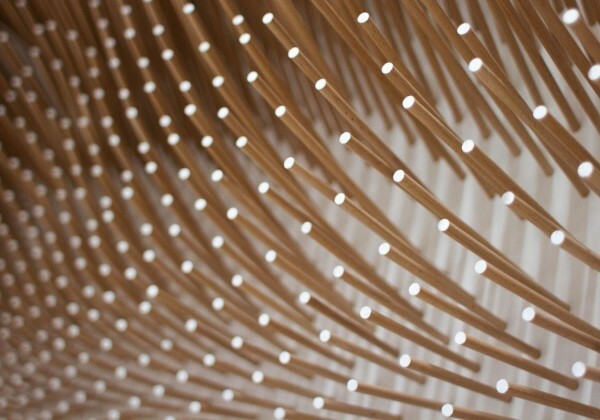 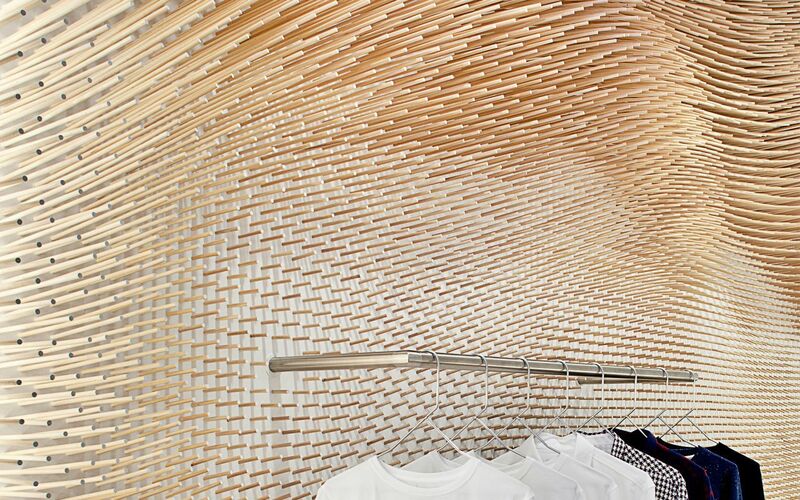 The store features a unique fur-like wall consisting of 22.000 wooden sticks with individual directions and of various lengths. 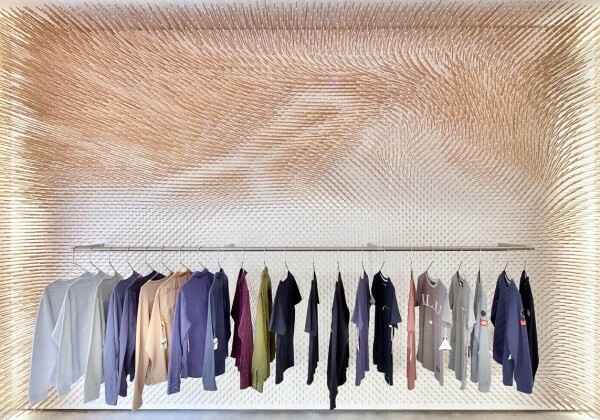 The installation refers to the flowing forms and delicate texture of textiles and cloth. 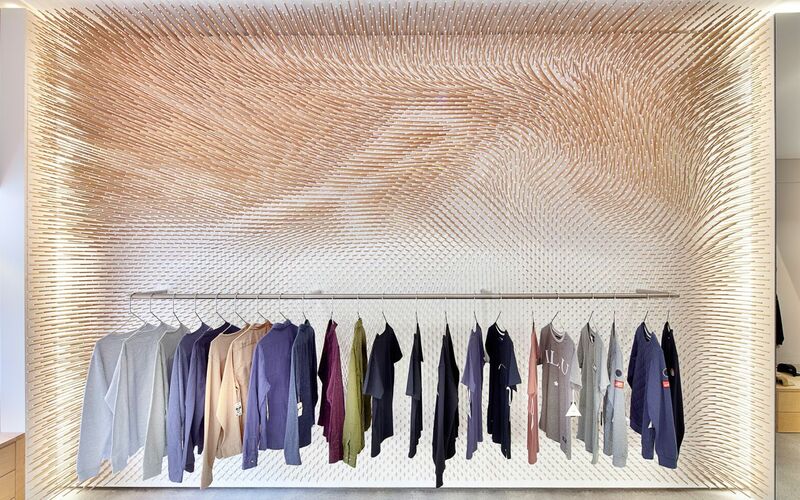 It creates a unique and sensational background for the fashion items displayed on the smoothly integrated clothes hangers. 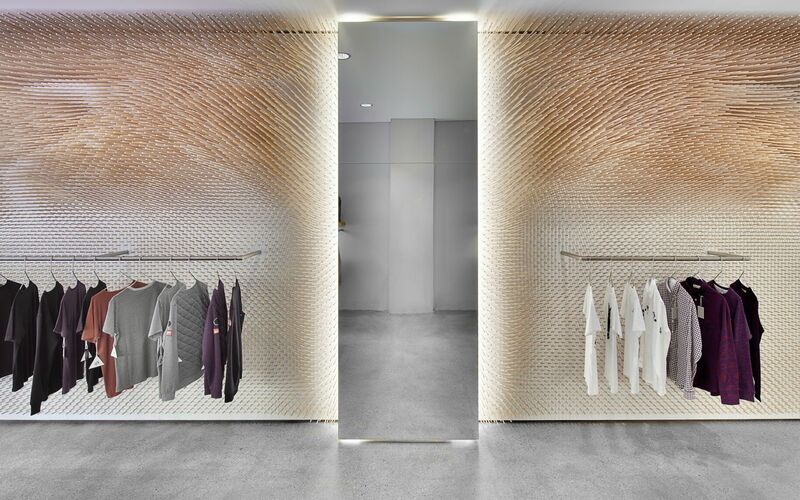 The flow of wooden sticks and subtle lighting frames a central full height mirror and forms a central “stage” for the customer. 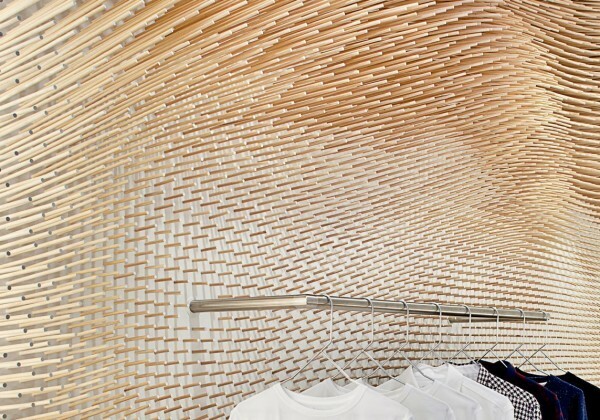 Display stands and shelving in beech wood match the material of the wall installation. 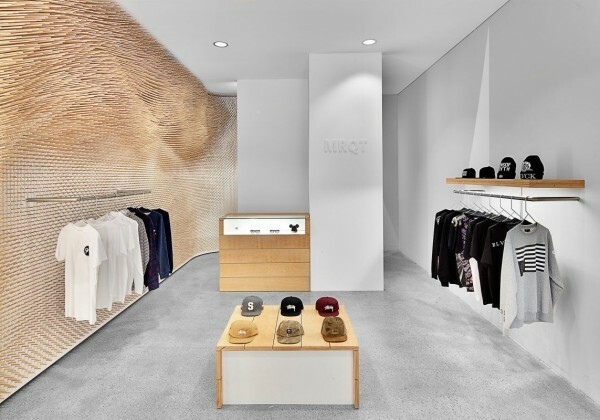 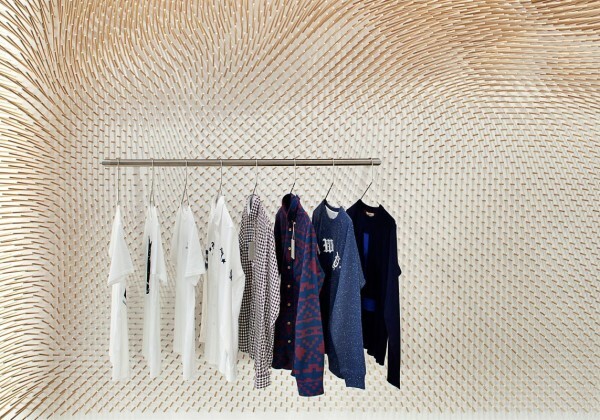 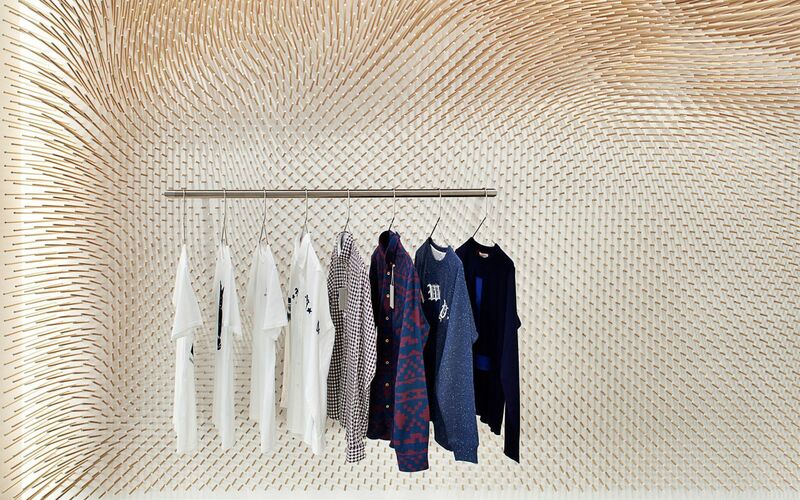 Together with the minimalistic interior space featuring white walls and a grinded concrete floor, the store develops a warm and inviting atmosphere for the customers browsing through a well-curated selection of premium street-wear brands.The wall was designed using customized digital tools to master the large number of wooden sticks. 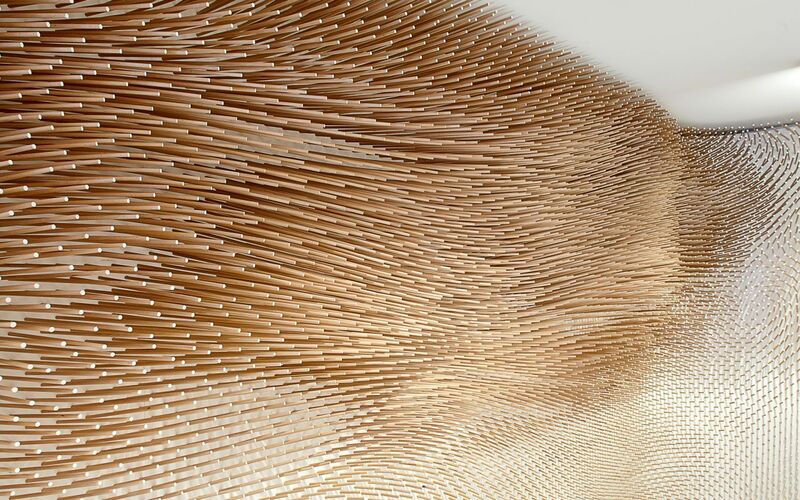 CNC-drilled holes define the individual direction of every stick installed. 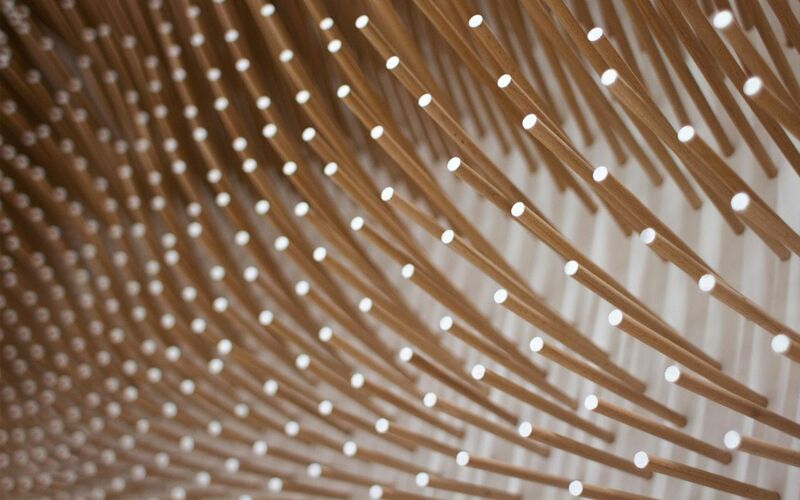 Only a perfectly streamlined production process guaranteed the efficient and feasible realization of the project. 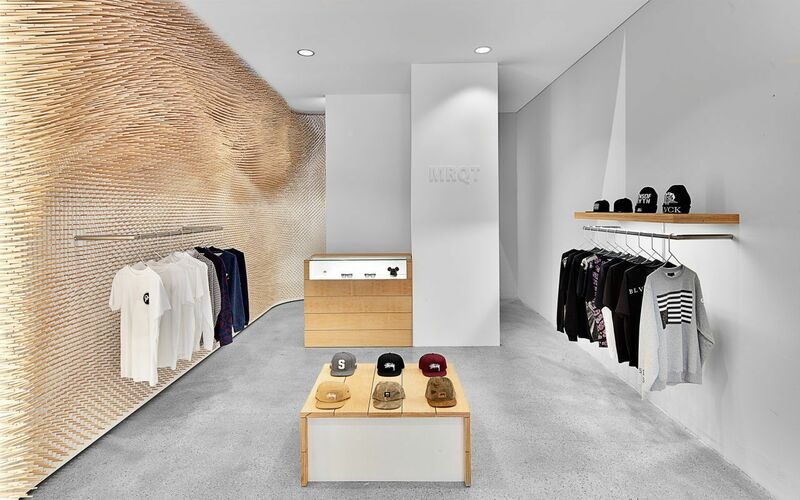 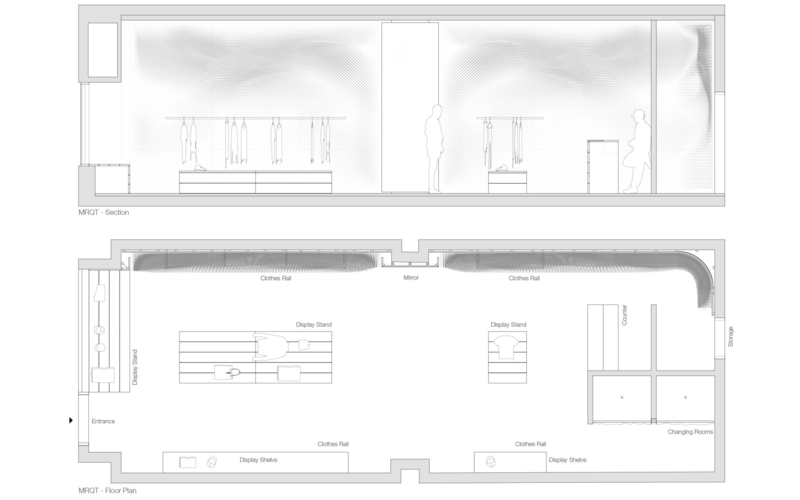 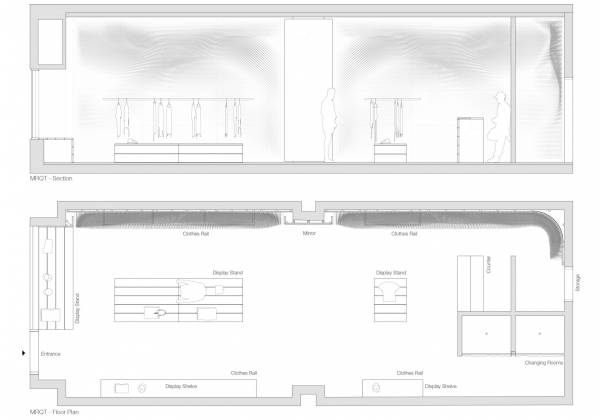 ROK is a Swiss architecture and consultancy firm with a focus on unique designs, interior and point of sale spaces. 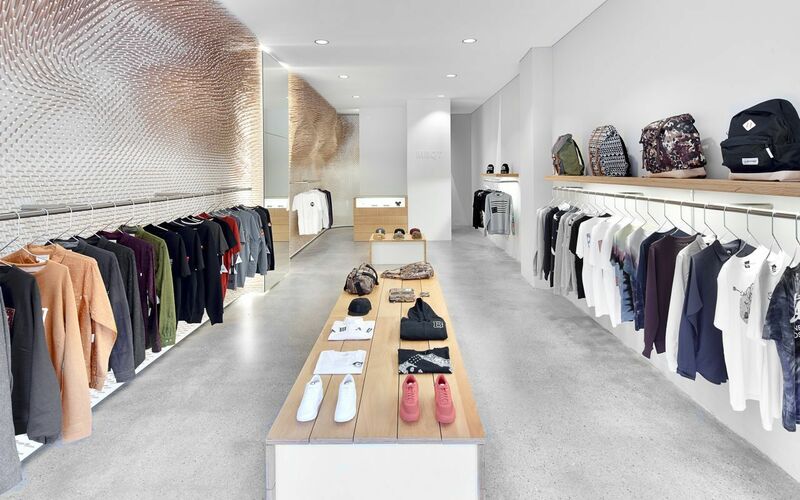 ROK offers design and planning services, as well as complete interior build out solutions through a strong network of partners for fabrication and construction. 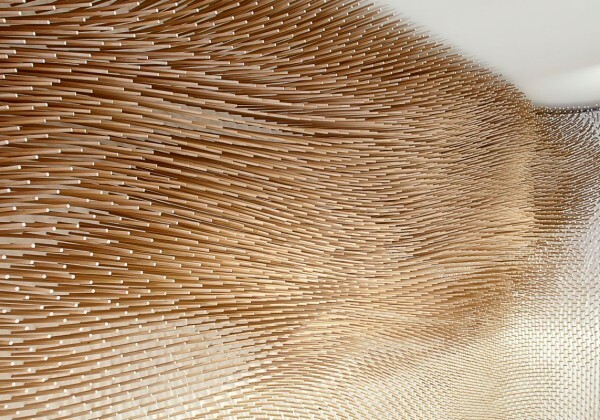 Architecture for ROK is the creative translation process of complex requirements of the client into individual and suitable designs. 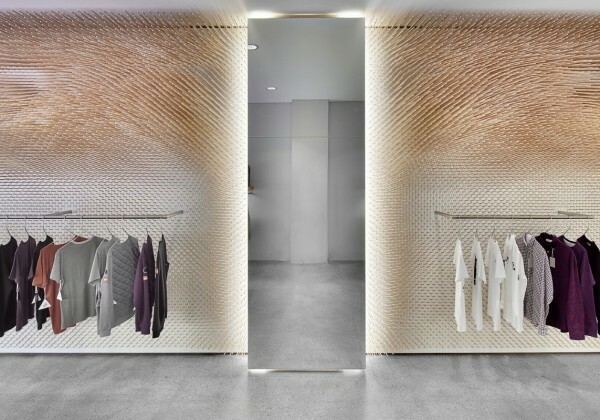 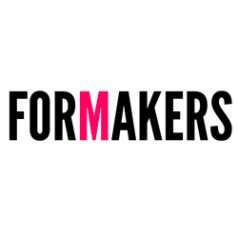 The Firm combines its unique expertise in the field of automated fabrication and computer based planning with a deep understanding of traditional craftsmen technology in order to deliver outstanding and efficient architecture. 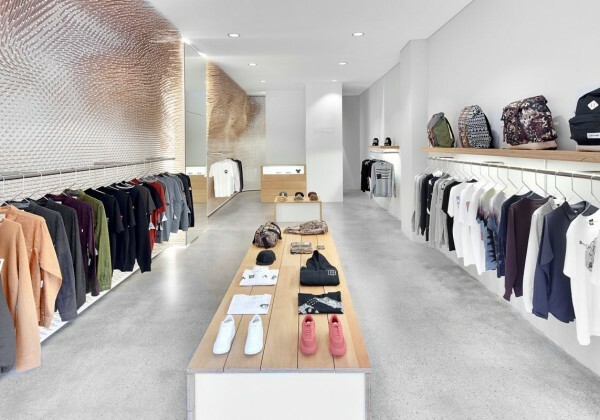 Efficiency means to conceive designs that are sustainable and appropriate for the material involved, as well as executing a project economically and in due time..